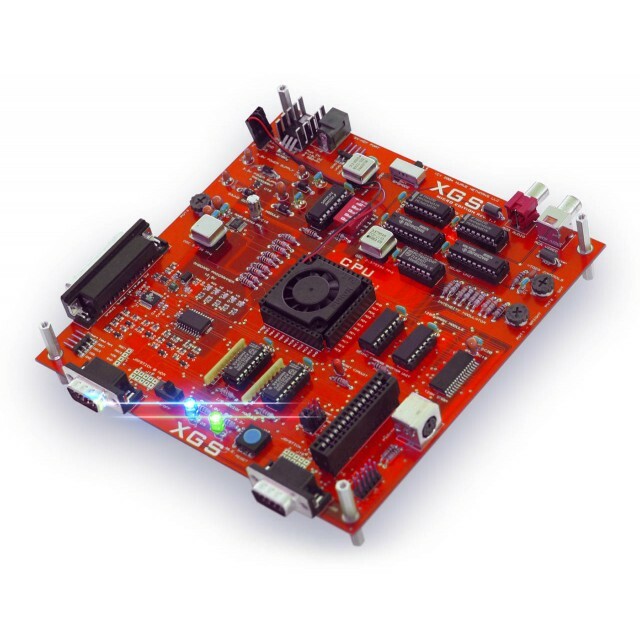 The XGS™ Micro Edition is powered by the Ubicom SX52 "Super-PIC" running at 80 MHz for 80 MIPS of performance with a 12.5ns instruction cycle. 4Kx12 WORD onboard FLASH memory with 1 cycle access time. 262 BYTES of register file RAM used as general RAM or registers. (5) 8-bit I/O ports with TTL or CMOS inputs and pullups. 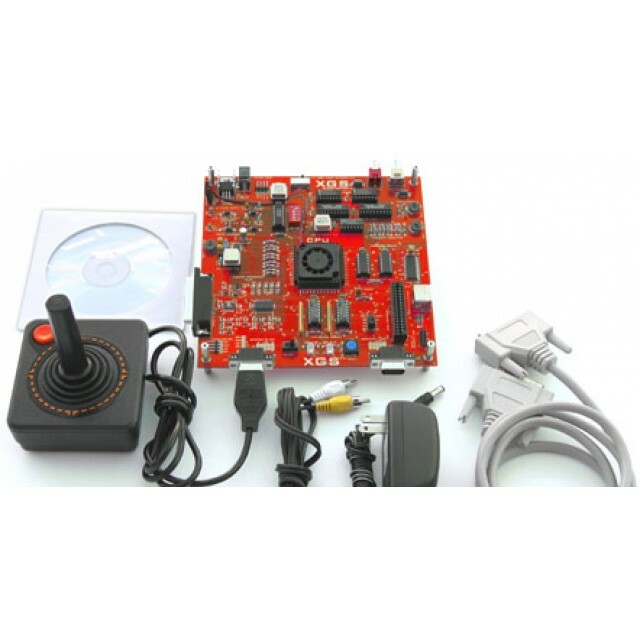 The XGS Micro Edition's graphics hardware was inspired by retro designs such as the Atari 2600, Atari 800, and Apple II to give the system the most flexibility possible while at the same time keeping the hardware complexity to a minimum so users can understand the system. Therefore, the graphics are generated via asoftware / hardware combination without a dedicated frame buffer or sprite system. The SX52 core is responsible for general control of the raster timing and video signals generated via controlling a special D/A converter that generates a TV level signal and mixes Luma and Chroma to generate composite video. The SX52 generates the sync pulses and well as the raster data. The hardware assists the SX52 by generating the color signals or the Chroma signal, this lethal combination literally gives the programmer pixel-level control of the raster while at the same time frees him up by letting the hardware generate the color signals. The XGS Micro Edition can generate video resolutions in any size less than or equal to a normal NTSC (525 lines) or PAL (625) in 32 colors with 16 shades each for a total of 512 variations. But, there are no limits to what can be done with the XGS Micro Edition's direct raster control graphics and we are just exploring its capabilities, for example, pure black and white high definition stylized graphics can be generated, advanced plasmas, and color effects, and much more. 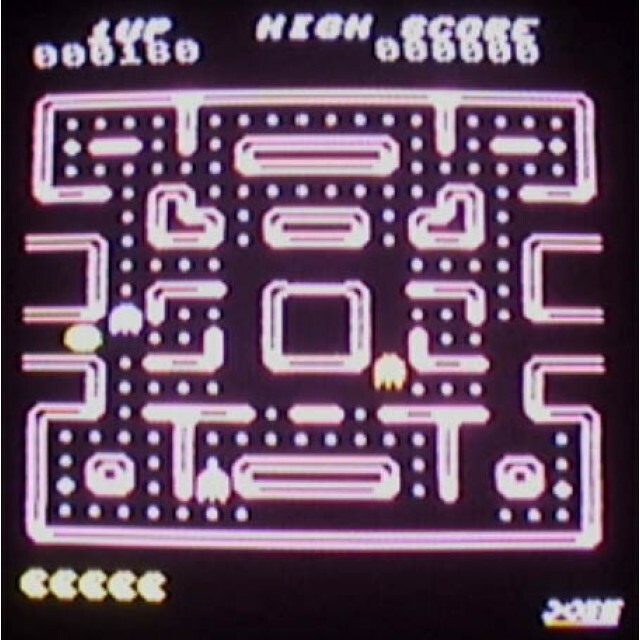 Additionally, since the raster stream is under software control, the XGS Micro can generate video for any variation of NTSC or PAL, simply change the color burst oscillator and you're off and running. The XGS Micro Edition's sound is generated with by theBU8763, developed by ROHM Corporation, a 3-Channel FM Synthesizer with full envelope control. Sound commands are streamed from the SX52 core to the sound chip for processing. Once a sound command is sent, the processor is free to continue working; therefore, complete music and sound effects can be generated with little or no processor load. Sound from the BU8763 is bussed out to the RCA audio port for transmission to your TV or stereo amplifier. The BU8763 was chosen for its simple programming and Atari 800, Commodore 64 reminiscent programming model. Dual Atari 2600 compatible DB9 Joystick controller ports powered by a serializer controlled by the SX52 that brings the controllers in serially to decrease I/O usage. Single RS232-5V 9-pin compatible port to communicate RS232 (5V) devices. This port also exports additional power and I/Os for custom interfaces via the DB9 port. PC-PS2 compatible Mini DIN 6-PIN Keyboard/Mouse port that supports standard PC-keyboards and mice. 30-pin Expansion Interface / Cartridge Slot. This interface allows expansion modules, memory, additional hardware and experimenting. The port exposes a number of system I/O ports as well as power and clocks for your most demanding interface designs. (4) 12-pin probing headers surrounding the SX52 for direct access to the chip's pins, supports standard 20-24 AWG wire. This high speed 15ns SRAM is located off chip. Although the SX52 can't run code directly from an external source, assets can be placed here as well as I-code for interpretive or even compiled languages using the SX52 as the core host and the SRAM for memory. Additionally, the SRAM is fast enough to be used as a general graphics frame buffer or even a digitizer storage region-- its up to you. The SRAM is communicated with via a serial 12-bit page, 1-bit bank, and 4-bit directly accessed register, allowing the most flexible addressing, speed, storage trade off. The raw speed of the SX52 is due to its onboard FLASH memory running code directly, thus to program the XGS Micro Edition, the SX52 must be re-flashed with your program, to facilitate this we have created a number of tools paths. 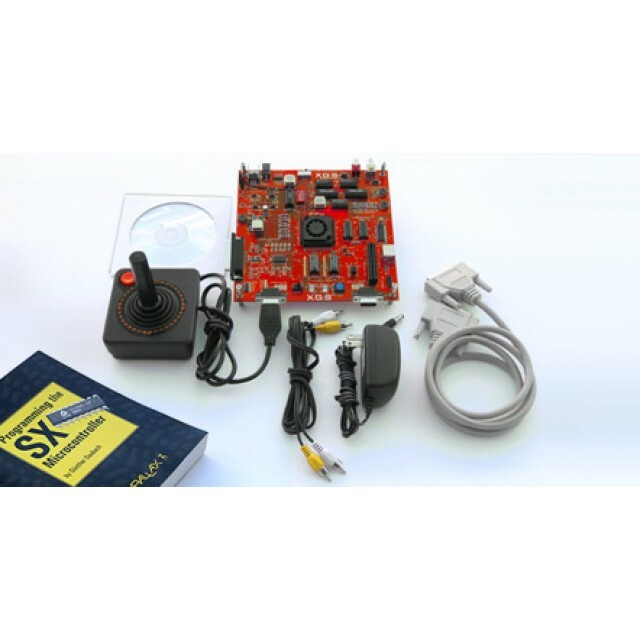 First, the XGS Micro Edition comes complete with abuilt-in programmer powered by an additional SX20communicated to via a parallel port and cable that our XGS Micro Edition Development Studio works with. However, our friends at Parallax have another programmer and IDE called the SX-KEY which you may already use or even prefer. If so, we are 100% compatible with their interface. Simply plug the SX-KEY into our interface port at the rear and you are off and running with their tool chain as well! So whatever you taste, we have you covered. The SX20 controls the careful timing needed to programming the core SX52 processor and is pre-programmed with firmware, however a programming port to re-program the SX20 is exposed for those that are daring and a 2-wire interface has been designed in between the SX52 and SX20 for possible multi-processing experiments, but at this time the hardware is dormant. Developing for the XGS ME is a snap thanks to XGS Micro Studio! This full-featured Windows IDE brings the look and feel of modern development environments to the low-level world of the XGameStation Micro Edition. XGS Micro Studio is a completely unified, graphical interface for SX Assembly Languagedevelopment, covering everything from writing code to programming assembled binaries to the XGS ME hardware. With numerous built-in utilities and a completely configurable look and feel, your potential will be limited by your imagination, not by your toolset. Write Assembly Language, configure the hardware, and program assembled binaries to the flash memory, all from a single program! Built-in Instruction Browser provides an instant summary of every supported instruction, including syntax, clock cycles, program words required, and more! The Real-Time SX Interface encapsulates complete control over the SX52 chip in a single tool, allowing you to read and write program memory, alter configuration registers, and more in a single place. Note: Currently only supports Assembly Language development. Note: Both PAL and NTSC versions of the XGameStation include an NTSC color burst crystal for use with NTSC-comptaible TVs. Most demos included with the XGameStation are NTSC only; some demos have been ported to and written for PAL systems, but not all. Note: SX-Key programmer requires a Mini-USB cable (not included). XGS Micro Edition PacMan demo. XGS Micro Edition Demo Planes. XGS Micro Edition Demo Racer. XGS Micro Edition Rotozoomer Demo. 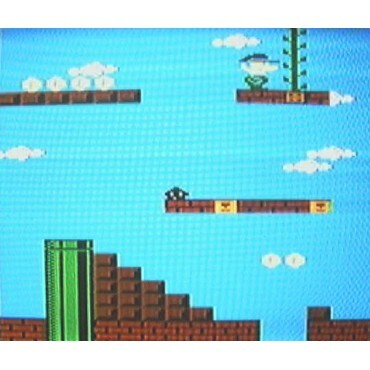 Design Your Own Video Game Console Excerpt - Chapter 11 (.zip). XGS Micro Edition User Guide v1.1 (.zip). 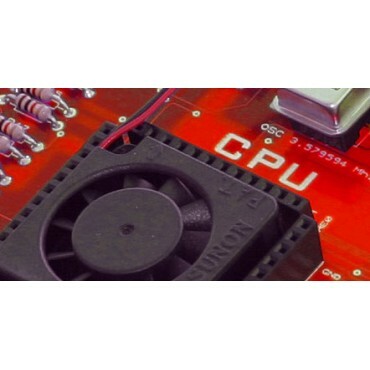 Ubicom™ SX52 Datasheet (Main CPU) (.pdf). Imagine understanding how video game systems are designed and developed at an engineer's level. Imagine writing your own games for a piece of hardware you're personally capable of building. This isn't a field trip to the factory -- this is decades of video game hardware development boot camp compressed into a single product designed to upgrade your brain and take you to the next level of skill and understanding. It was estimated that only 100-200 people on the entire planet understood the workings of the legendary Atari 2600 and its design. What if you could design machines like this and beyond? Complete XGS Micro Edition console, fully assembled and ready to use. Andre' LaMothe's one-of-a-kind eBook, Designing Your Own Video Game Console, explaining the entire design and implementation of the XGS Micro. Covers the basics of electrical engineering, circuit board design, layout and routing, video techniques, sound generation, I/O techniques, relevant software tools, low-level programming, and much more! Official XGS Micro Edition Development Studiotool chain for Windows PCs supporting "To the Metal" Assembly Language programming. Comprehensive collection of useful software tools and utilities for XGS Micro development. XGS-compatible joystick/gamepad (actual joystick may not match item pictured). Parallel cable for interfacing XGS Micro to development PC. Printed copy of the XGS Micro Edition User Guide to get you up to speed fast. NTSC or PAL color burst crystal options.